It takes courage to share with others what you might discover. ‘The king of drip’ dared to liberate the artist from the easel. He spread sheets of canvas on the floor and turned painting into an event making colourful drips and splatters with bold colour. There was an almost physical connection between the artist and his creation as he moved around and over his canvas spattering paint in a seemingly random way. “Energy and Motion made visible – memories made in space” Jackson Pollock. Jackson was keen to share the physical process of creating with an audience.An artist wildly throwing paint around must have provided for more than a few giggles, more likely guffaws of mirth! 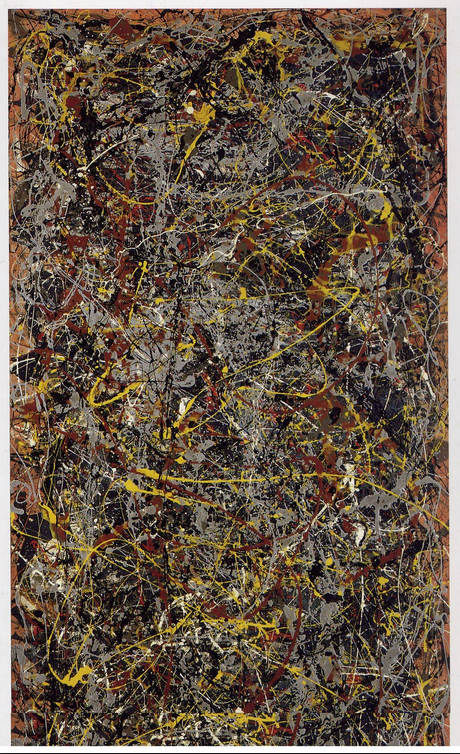 His painting ‘No 5.1948’ was purchased in 2006 by a private collector for $140 million. 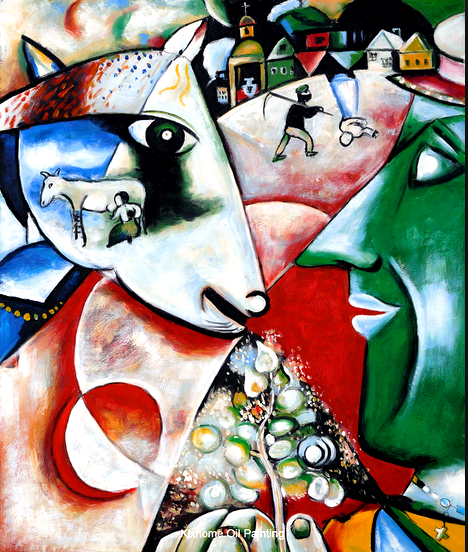 One of his contemporaries Marc Chagall said, “Art seems to be a state of soul more than anything else.” Marc Chagall managed to connect the conscious with the unconscious mind in his paintings. His art personifies abstract expressionism. It takes a brave artist to bare his soul, and I think a wise artist sometimes to bend the truth slightly. Chagall wanted to share; he showed us a glimpse of his soul in his art. Do we paint to reconnect with ourselves, or to please others and gain recognition? It is probably a mix of all three with an added dash of narcissism, which is only human nature. On an unconscious level, it is true that every artist imprints his unique signature into his art that even when copying someone else’s work will show through. No lying here as no two artists will ever paint exactly alike, perhaps excluding skilled and professional forgers – talented artists in their right but not always on the right side of the law. An artist grows when he allows himself to be influenced and inspired by other artists. A combination of the conscious and the unconscious mind is necessary to produce an own original style. And I believe that most artists tell us something through their work, be it their intention or not. Don’t be selfish, be brave and bend the truth if you wish, but share your art. Everyone is an original artist with a story to tell. We learn from each other.Tell us why you create, how you create and show us what you create. “Without art, the crudeness of reality would make the world unbearable” George Bernard Shaw.